In an exclusive conversation to Restaurant India, Viraj Lamba, Director and Jasmeet S Marwah, Chairman, Fun Bars Hospitality talks about the groups plan to expand this to other cities. 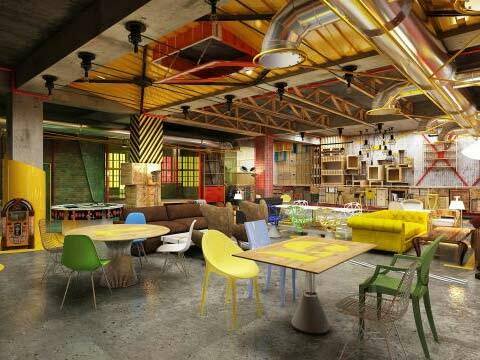 FLYP@MTV is the newly launched cafe in Connaught Place, New Delhi. This is first of its kind venture of MTV brand into the food business by partnering with Fun Bars Hospitality which holds the licensee of the brand. In an exclusive conversation to Restaurant India, Viraj Lamba, Director and Jasmeet S Marwah, Chairman, Fun Bars Hospitality talks about the groups plan to expand this to other cities. How much time actually took to get MTV on board and launch the restaurant? The whole process took a couple of years from initiating the communication with Viacom to making them understand what we wanted to do; the agreement was signed earlier this year. And took around a year to make the restaurant running, the whole concept, curation, beverages and food together. Why a Christmas launch, you could have launched during Diwali? Christmas is the best season to start a new venture as lots of people are going out, trying food, looking for entertainment being a holiday season. I think it is the best time for us to open a restaurant. Why FLYP@MTV as a name? We as a concept, our core target are the youth because of MTV being a youth and a young brand. The reason why it is named FLYP@MTV because people today want something new, they want something to change, every time they come to a place they want to look into something new. Foodies want to FLYP everything that is happening today and that is the reason it took us so long to open this outlet. How much technology freak is this restaurant? We are launching lots of technology into space which is a functional technology for people to use, to interact with audience, to interact within themselves. We are launching mobile app very soon. We are launching technology enabled tables where customers’can actually talks to each other, play games with each other. What was the total investment done to make this restaurant a success? It would be hard to put a number for me today as the investment is still happening. It’s not about restaurant but long term, developing the brand, creating USP. I don’t know how much we will put in one restaurant but the brand obviously has a long vision. As this is the first outlet by Fun Bars. Why CP as location? CP has off late become the most happening location to be. And, as our company Fun Bars Hospitality is based out of Delhi-NCR, we had done a detailed research on this market. We have extensively worked on CP as a location which will become a hub that will survive for decades. We are into 10 year partnership with MTV and we wanted a long term relationship with them. How difficult/easy it was getting MTV as partner? MTV wasn’t that hard because there were lots of like-mindedness in what we wanted to create. They wanted to create an ecosystem and were looking to expand the brand MTV to ground reality. And, we were looking to connect with a youth centric brand. Are all the restaurants that you are planning will revolve around same theme? It’s Flyping, so every restaurant we will do it will have a different genre. We will identify about what the particular city’s youth want. So, if it is a city like Bengaluru where the youth are little laid back, chilled out, less stressed, we will have something for them. And Delhi is a luck market, people want shiny thing, glittery people. We have hired bunch of team to do market research for social media engagement research, design research and others and MTV did their own research. We are planning to open about 10 stores in all metros. Delhi, Bengaluru, Pune, Mumbai, Chandigarh are some of our major target. How food suppliers in India are taking the e-comme..